Dental Bonding - Naperville,IL | Comfort Care Family Dental P.C. When a tooth has become chipped, cracked, discolored or misshapen, it can greatly impact one’s self-esteem and attitude. Dental Bonding is designed to bring your smile back! “Tooth bonding, or dental bonding, uses a special tooth-colored resin which is applied to the tooth then hardened using a special light. 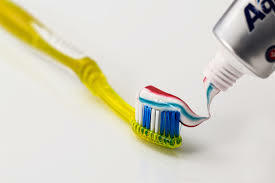 This bonds the resin to the tooth either to restore it or to improve the appearance of the tooth,” according to WebMD. The dental professionals at Comfort Care Family Dental in Naperville, Illinois are highly skilled experts in dental boding. When it comes to cosmetic dentistry services, whether dental bonding or the many others available, Comfort Care Family Dental has seen many patients benefit from the easy and popular bonding practice. Dental bonding is a quick and painless procedure which is giving people a new outlook on life, and helping them get back to the things they love most. If you have unsightly teeth, then this procedure may be what you have been looking for to restore your smile and make you feel like yourself again! Dental bonding is becoming more and more popular among patients because this process can be a more affordable solution than veneers, though in exchange for affordability patients do sacrifice duration as veneers last much longer. The advantages of dental bonding are that they are affordable, easy to get, remove the smallest amount to tooth surface, and do not require anesthesia unless being used on cavities and broken teeth. Additionally, veneers and crowns must be manufactured in advance at a second laboratory so dental bonding can be done in-house in the dentist’s chair quickly and easily. Here at Comfort Care Family Dentistry, we strive to make dental bonding in Naperville, IL affordable for everyone who needs it done. Our team has years of experience and are proud to be leaders when it comes to providing cosmetic dentistry services to the local community. Dental Veneers are typically comprised of specially made porcelain composites and is made into tooth-like laminates which are designed and shaped to match the patient’s unique tooth shape. This is one thing that makes veneers so popular when it comes to cosmetic dental procedures and the high level of customization is achieved by fitting the porcelain laminates over the front of an existing tooth. It is moldable and ca be shaped as needed before it is hardened and finished. They bond directly to the front of the tooth, which helps them to dramatically enhance or restore the shape, color, and appearance of the tooth. They also can be used on multiple teeth as each veneer is designed for an individual tooth. Veneers are almost completely undetectable because of the process and materials used- they are tooth-colored and match the color of healthy natural teeth. They also are very durable and are able to withstand the normal wear and tear and pressure teeth endure throughout the day during activities like talking and chewing. Veneers are popular because they are an effective way to improve the appearance of a person’s smile and is a predictable and long-lasting way to get a new smile. Cosmetic dentistry is a growing area of focus for many dental practices. We have many patients who come to us with a range of dental needs and many of them are good candidates for the quick and easy dental bonding treatments we offer. Comfort Care Family Dentistry has many dental procedures and cosmetic treatments to choose from but dental bonding by far is one of the most popular. For someone with dental issues and unsightly or damaged teeth, this procedure may be exactly what they need to treat these issues and protect against further damage. Good oral health is important for overall wellness and following a good oral care day in and day out is the single best thing someone can do to keep their teeth healthy and strong. There are many things that can go wrong with your teeth and even minor issues can quickly grow into painful and expensive issues to treat. Once teeth are gone, they are gone and damaged teeth are more prone to decay and other issues- this is why it is so important to keep up with your dental care and protect your teeth for as long as possible. When damage has been done and issues need to be addressed, we are here. If you need cosmetic dental procedures done and are looking for dental bonding in Naperville, IL then our team is ready to go to work for you. Contact us today to set up your consultation appointment with our dental team and discover for yourself how a new smile can dramatically change your life and your future!